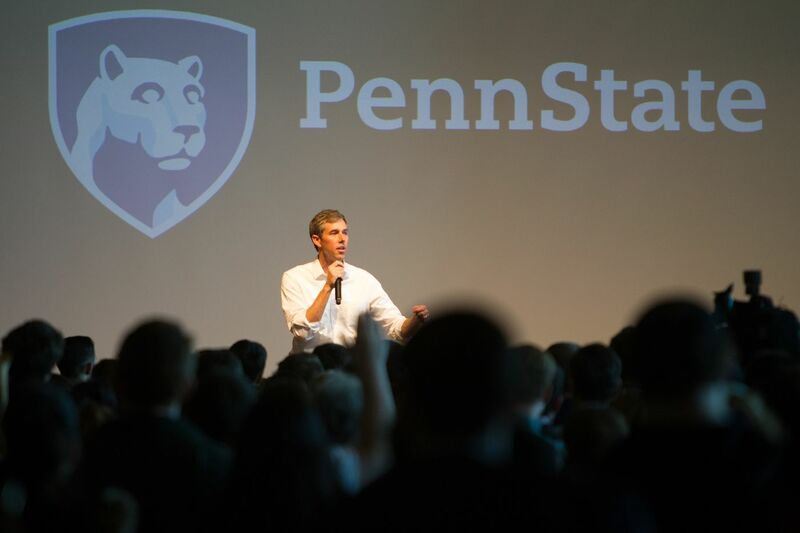 Democratic presidential candidate Beto O'Rourke speaks to a crowd at Penn State University in State College, Pa., Tuesday, March 19, 2019. Several hundred were in attendance for O'Rourke's three state inaugural campaign. At State College, Beto O’Rourke stirs excitement. But some Democrats wonder what he would do. Beto O’Rourke’s presidential candidacy is the ultimate expression of the participation trophy culture on the left. It used to be you had to win on the state level before taking the national stage. Barack Obama won a Senate seat from Illinois before immediately declaring his intention to run for president. At the time, that was considered pretty audacious. He hadn’t accomplished anything in the Senate before he decided on a presidential run. But at least he won. O’Rourke lost his race to unseat Sen. Ted Cruz (R., Texas) last year. He got a participation trophy. Apparently, he thinks that qualifies him to be the leader of the free world. Foreign policy experience? She served as minority leader of the state House of Representatives. Her official bio lists her as “former term member of the Council on Foreign Relations” (a temporary membership for young people) as well as “a Council on Italy Fellow, a British-American Project Fellow, a Salzburg Seminar-Freeman Fellow on U.S.-East Asian Relations, a Salzburg Seminar Fellow on youth and civic engagement, and a Yukos Fellow for U.S.-Russian Relations.” That might qualify her for an entry-level job at a left-wing think tank, but it hardly qualifies her to be commander in chief. Even O’Rourke can claim experience on the House Armed Services Committee.